-The last 30 minutes or so of the movie is simply outstanding and drastically changed the rating for me. Nothing more due to spoilers, but it was genuinely emotional. -In the first half of the movie, I had a write-up prepared explaining why I didn’t think Davis worked here and was miscast; then the second half happened, and then she was amazing, pulling off a bunch of different emotions and character states, when before, I thought her range was mostly limited to bigger, larger than life, overbearing women. -The first half was very dull me for and not much worked. While the second half does a lot to redeem the movie, it’s still 45 minutes of dull melodrama proceeding it that really disappointed me. -No a big negative, but this movie has Humphrey Bogart in it, but he isn’t given much to do it except for one big scene in the middle where he’s great. Also, Reagan is given even less to do, but it’s not like he was an exceptional actor to begin with. Uneven movie, but overall worth watching once it picks up and then eventually rockets towards a fantastic finish. Davis here really sold me on her entire potential as an actress here. -The movie on a technical and production level is still amazing after all these years. The cinematography is gorgeous, the sets and costumes are great, the color palette is perfect for a period movie like this (and I always have loved the look of technicolor) and the score is very good-I know it’s considered a classic, but other than the “Tara Theme” which is fantastic, I’ve seen so many Max Steiner scored movies now that this doesn’t stand out all that much. -The movie disgustingly perpetuates the old myths of the antebellum South and the reconstruction period. The idea that the old South was something great and honorable and that black people were actually better off under it, and that this wonderful gallant and chivalrous culture was lost as a result of the civil war and reconstruction is repugnant to me. Even if this was a common historical narrative at the time, that doesn’t excuse it now as a film that helped perpetuate a false and frankly poisonous idea. -As big and grand as it is, and as good as the performances are, the story (which goes on waaaaayyy too long) isn’t especially strong, and while the characters have a lot of life to them, they wear a bit thin eventually and can easily be summed up in about one sentence each. Once the movie moves away from a big epic to a more character-focused story after the intermission, the movie becomes a drag, only keeping me engaged due to the visuals and performances. -This is by far the longest movie so far at 233 minutes (the previous high was The Great Ziegfeld at 177 minutes). At 3 hours, 53 minutes including entrance, intermission and exit music, this is longest movie to ever win Best Picture, although if you only include the narrative parts, Lawrence of Arabia (1962) is longer (at 222 minutes vs. GWTW’s 221 minutes). Neither of them though is the longest to ever be nominated-that honor goes to the 1963 version of Cleopatra, which is a hideous 4 hours and 8 minutes long. -George Cukor was originally hired as director, but was fired by producer David O. Selznick allegedly because he didn’t think a gay man could direct the romantic scenes. Few movies have been a bigger deal and had a bigger impact than Gone With the Wind, but while it’s still very watchable and on the whole really good due its obvious strengths, it has not aged well in many aspects. -Robert Donat is very good and is remarkably convincing playing the title character at different points in his life over a period of 63 years. Whether he deserved the Best Actor award in what was one of the strongest years ever for that category ever is a different question, but regardless, he brings a lot of charm and especially warmth to the role and his performance is by far the best thing about the movie. -There’s an event that happens that marks (imo) the change between the 2nd and 3rd acts of the movie that is very clumsily handled. This is something that would have a tremendous effect on anybody it happens to, and yet we get no sense whatsoever that there were any long term effects from it, nor do we see how he deals with it in any meaningful way. Instead, it happens and then we quickly jump to about 5 years later in Mr. Chip’s life. I think we could have really used more scenes showing the aftermath. 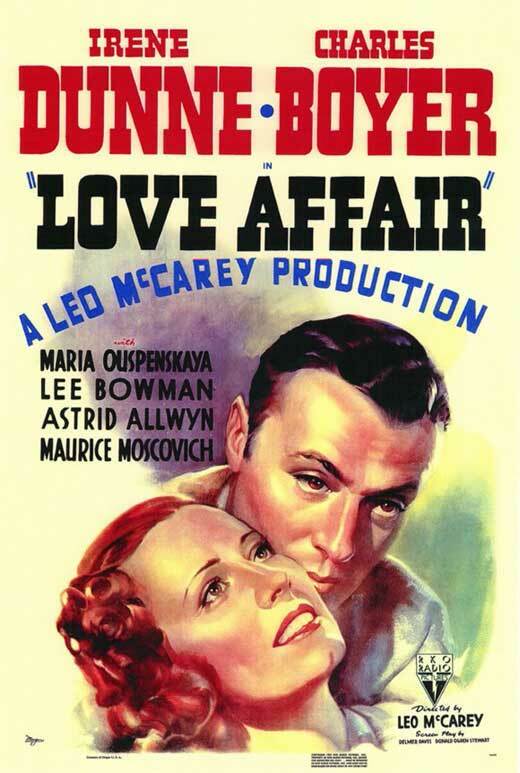 -Misleading poster alert: Only for about 10 minutes (if that) in the movie does Donat look the way he does on the poster (for the vast majority of the movie he is older and has a mustache), and he meets Garson (the other person on the poster) later. -This is a straight romance movie (with a few songs) that doesn’t do anything at all for me. There’s no great chemistry between the leads, there’s not much humor at all, there really nothing all that distinctive about it. I don’t have a ton to say about this movie other than it was a boring, fairly standard romance plot. Forgettable romance movie even if I did sort of like Boyer. At least it’s under 90 minutes. -The last hour or so of the film is outstanding and is the entire reason why people remember this movie. It has drama, humanity, emotional peaks and valleys, twists and turns, and ends at just the right place. If you aren’t rooting for Smith at the end of the movie, you are somehow even more cynical and jaded than I am. -Even after all these decades, Jefferson Smith still is the embodiment of what we wished our politicians were like and that is owed almost entirely to Jimmy Stewart’s legendary performance. He is so perfect for this role because all the things we think about when we think of Mr. Smith, could be said of Stewart himself, or at least our public perception of him. The only other actor who I can think of that could credibly play the role would be Tom Hanks who in a lot of ways is a modern Jimmy Stewart. Well, either him or Mel Gibson (https://www.youtube.com/watch?v=2uOva_pZJ6Q). -Claude Rains was excellent as Sen. Harrison Paine, as he knows exactly how to convey all the emotional turmoil of the character to the audience and make us feel exactly how he wants us to feel about him at all times. -As great as the last hour of the movie is, the first hour has a lot of dead weight to it. Yes, a lot of these scenes are necessary to get us from point A to point B, but there are a number of places where it could have been trimmed, or things that simply should have been changed or excised entirely. -There’s an obvious populist theme to the whole movie, that it’s inherently better to have an ignorant but patriotic and good-hearted outsider in government than anyone who has been around government for any extended period because they will have been tainted by the political process. To be blunt, to me this kind of a dangerous sentiment that is very relevant today, what with the huge anti-establishment backlash in the Republican party, where any outsider is better than an insider. I want people who have actually gotten things done in government, or who know what they’re doing. There are drawbacks to long-time politicians but there are just as many if not more to having a government full of political neophytes. -There are a number of frankly cartoonish scenes that take away a lot from what is otherwise a movie that wants to be taken seriously. I’m fairly certain that there would be repercussions for a Senator running up to people on the street and punching them in the face, or for grown men to beat up children on the street. -This movie was originally going to be “Mr. Deeds Goes to Washington”, but Gary Cooper was unavailable. 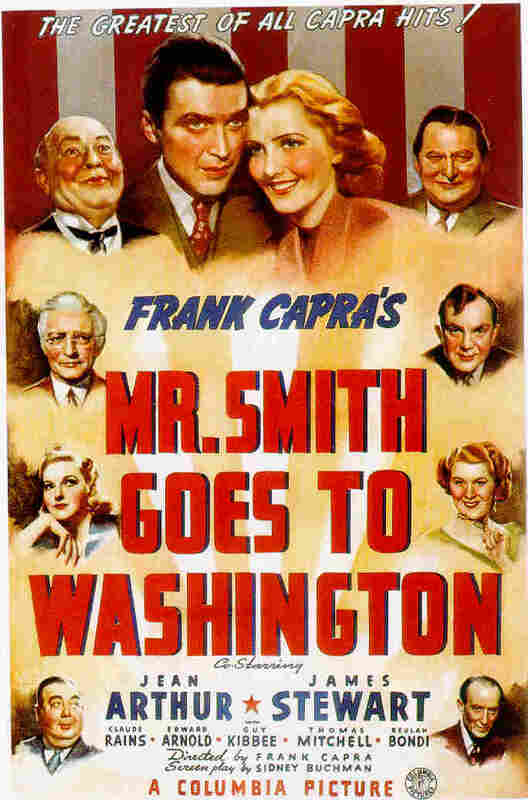 As a result, Capra rewrote the script slightly, but Mr. Smith is meant to be essentially the same character as Mr. Deeds. I think this is a great movie, but it’s also overrated-I can’t agree with naming it one of the greatest films of all-time when it’s not all that good for about half of its runtime. Of course it’s still worth a watch for all the obvious reasons, but there are a number of films I have watched for this exercise that were better and more complete. -Greta Garbo is amazing here. When she needs to be funny, she’s so deadpan and plays it so straight that there’s a ton of humor coming from just how unemotional and almost alien she is; when she needs to be romantic, she’s elegant and has an amazing screen presence. This was not an easy role and she absolutely hits it out of the park, can’t say enough about how good she was here. Totally changed my opinion of her after having only seen her in Grand Hotel where she wasn’t that interesting and wasn’t given a lot to do. -The screenplay is excellent, lots of lines that made me crack up, a romance that actually interested me, a memorable main character and a really strong and original story. -The movie shifts in tone from a straight comedy to a romance movie, but it works really well because it established the characters first and got me interested in them through comedy first so that I cared more about the romance when it came. -While the movie pokes a lot of fun at the Soviets and all the major problems with the USSR, it does a nice job of counterbalancing it by also pointing out that their predecessors weren’t much better. Surprisingly mature take for a movie released in 1939. -Bela Lugosi shows up for a scene near the end of the movie, and there’s never a time a Bela Lugosi appearance is a bad thing. One of the best movies I’ve seen so far, consistently entertaining throughout and in my opinion the best movie of 1939 so far by a longshot. Summary: A drifter and his mentally disabled friend try to make their way in the depression-era West. Sadness, loneliness and tragedy pervade this classic story, but what really brings it all together are the characters and the strength of the two lead performances. The relationship between Lennie and George feels lived-in, like these are totally organic, real characters, and we the audience just happened to drop in a particular episode in their lives. I’ve always liked Burgess Meredith from his appearances in the Rocky movies, The Twilight Zone and the Adam West Batman series, but here he shows how good of a straight dramatic actor he was-if he was taller and more attractive, he probably would have had a very different career trajectory. Lon Chaney Jr. gives an excellent performance playing a very challenging part; I remember watching the 1992 film version and not liking John Malkovich as Lennie, whereas here, I think Chaney pulls back just a bit which makes the character more likeable than just sad and depressing. Additionally, the characters of Mae and the black farmhand, and their relationships with the men on the ranch add even more to the relationship our main characters have, as their isolation is a good contrast to the companionship Lennie and George have in spite of their otherwise difficult lives. Up until the strong ending, the movie lacks any obvious high points or memorable scenes. While the movie doesn’t have any major problems, there’s not enough there for me to say it is something truly great. Its characters are strong, but the plot itself isn’t all that engaging for the most part. Very good movie with good characters and great themes even if it’s mostly just really good for its runtime instead of a truly great. And The Nominees are… Blog at WordPress.com.